Reconnect with classmates and friends, revisit familiar spots on campus, and learn about The Hun School today. Graduates of class years ending in 4s and 9s will celebrate milestone reunions, but all alumni in all class years are welcome to attend! During the State of the School, The Hun School will present awards to alumni classes who are recognized for their spirit and participation during Alumni Weekend and for their support to the Hun Fund. Every year it’s a race to see which classes will be recognized for their achievements. Join your classmates and make a gift. Gifts and pledges must be made by April 26th at 12:00 p.m. to count towards the reunion cups. To make a special reunion gift, please visit www.hunschool.org/giving. Every gift to The Hun School — no matter how large or small — is important. Help make a difference for today’s students by supporting The Hun School by making a gift today! Alumni, faculty, and friends are invited to join us as we celebrate and honor these distinguished individuals. 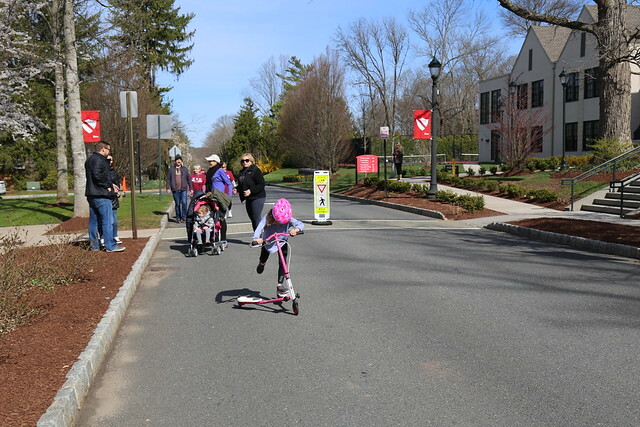 The proceeds from the Run for Kate support the Katherine Wright Gorrie '98 Memorial Scholarship. Pre-register by Wednesday, April 10th to receive a t-shirt. T-shirts will also be available to participants while supplies last, through race day. If you have any questions, or need further assistance, please contact Director of Alumni Engagement and Reunion Giving Janine Russo Vanisko '83 at janinevanisko@hunschool.org. 9:00 – 10:15 a.m. Pre-registration is required. Members of the Golden H Club, an honorary society for alumni celebrating a Reunion of fifty years or more, are invited to join Headmaster Jonathan Brougham for brunch followed by a tour of the campus. Join Coach Jon Stone for the Alumni vs. Alumni basketball game! Join Coaches Patrick Quirk ’02 and Joanna Hallac for an Alumni vs. Alumni co-ed soccer game – rain or shine! Hosted by current Hun School students. 10:30 – 11:15 a.m. Pre-registration is preferred. Join Visual Arts Department faculty member David Bush for an opportunity to view current Hun School students' artwork. All are invited to attend this session that will focus on cultural competency programming at Hun and supporting our diverse student body. Remarks by Headmaster Jonathan Brougham and Xavier Goss ’99, Managing Director of BlackRock, who will share how Hun prepared him for life. 11:45 a.m. – 12:30 p.m. Pre-registration is required. 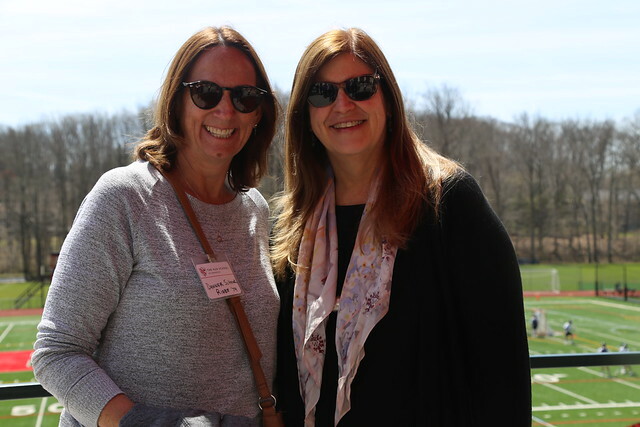 Remarks by Headmaster Jonathan Brougham, recognition of our Alumni Weekend honorees, Reunion Award presentations, and a celebration honoring Mrs. Quirk’s forty-six years of service to the Hun School community. Click here to submit a testimonial in Mrs. Quirk's honor. Alumni stop by for a free Alumni Weekend T-shirt. Join us at the Athletic Center for a barbecue, children’s activities, class-sponsored events, food, sweets, and more. Stop by the Alumni table, sign-in, and receive complimentary lunch tickets for you and your family, compliments of the Alumni Association. 6:00 – 6:45 p.m.; Pre-registration is preferred. The John Gale Hun Society Committee invite all alumni and friends of the School to a cocktail reception to recognize members of the School’s John Gale Hun Society. The John Gale Hun Society recognizes those loyal alumni, faculty, staff, and friends who have made provisions for The Hun School in their estate plans. Please join us if you are a member or have questions about how to become a member. 6:30 – 11:00 p.m. Pre-registration is required. 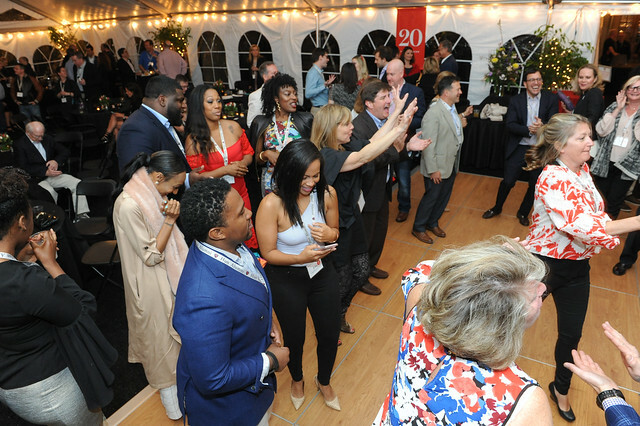 Milestone Reunions for class years ending in '4s and '9s will be celebrated - but the party is for all alumni, regardless of graduation year. The Reunion celebration includes cocktails, hors d'oeuvres, specialty stations, desserts, and dancing. $80 per person, $40 for members of the Class of 2014, subsidized compliments of the Alumni Association. Guests of alumni will be charged the full $80. Class pictures will be taken throughout the evening in the tent behind Russell Hall. Note: Due to limited parking at The Hun School, please consider, if available, using the shuttle bus service provided by your hotel; Uber, or carpool to Saturday evening's Alumni Celebrations. For those traveling from out of town, we are pleased to provide you with the following hotel information. We hope you plan to spend the weekend with us! * Special hotel rates available if booked before March 27th.